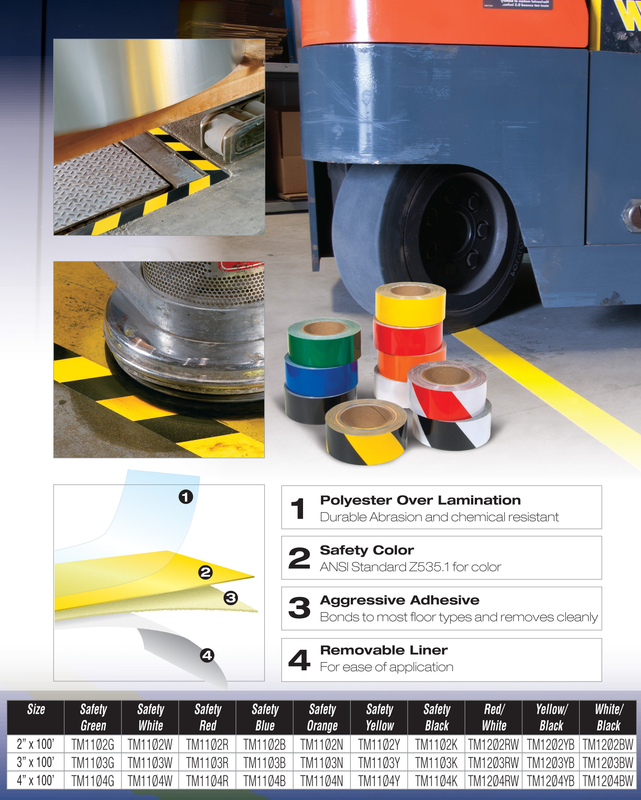 Very Low Profile product so pallets and other objects tend to slide over the tape without damaging it. Lasts up to 10 times longer than standard floor tapes. Helps ensure an OSHA compliant workplace. NFSI certified for Indoor/Outdoor use in commercial, industrial and residential applications. Commercial Grade Tape. Easy to install. Simply peel off the backing, apply to a clean, dry, smooth surface and press in well. Our Tuff Mark® product is intended for applications where heavy traffic and high wear from both foot and forklift exist. This product has been designed from the ground up with durability in mind. The ultra tough clear Lexan® polyester top surface is renowned for its abrasion and scratch resistance, coupled with a floor specific highly aggressive adhesive and premium vinyl base stock. 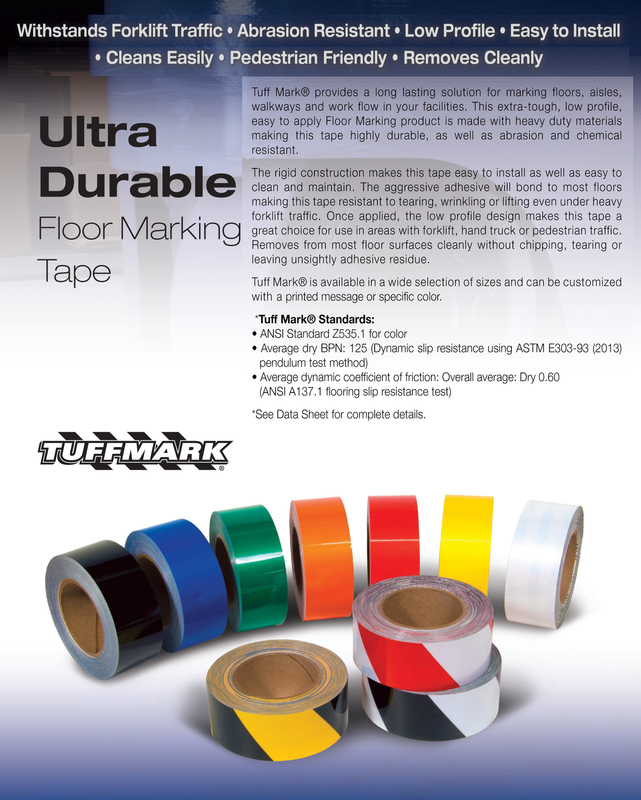 Tuff Mark is highly chemical resistant and generally unaffected by greases, oils and acids. An added feature of this product is that it will not stretch during application, making installation very easy and accurate with or without a tape applicator.. The total thickness of the tape is 10.5 MILS (Not Including Removable Liner).